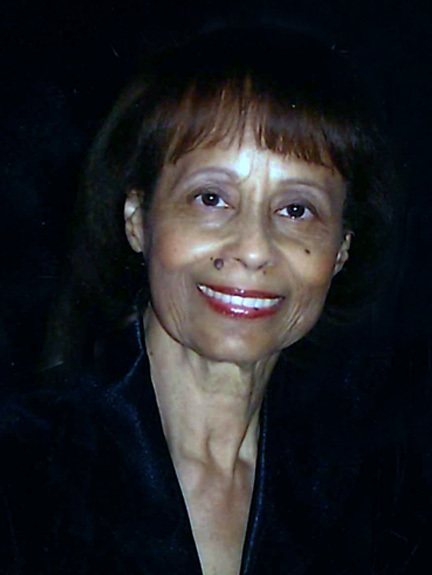 Lucendia Todd was born to Goldman and Rebertha Beville on February 4, 1939 in Demopolis, Alabama. Lucendia (affectionately known as “Cindy”) has two sisters: older sister Elizabeth (“Liz”) and younger sister Ann. Cindy also has one brother, Ricky, who she and Fred raised like a son. The family later moved to Mobile, Alabama and joined the Dearborn Seventh-day Adventist Church. Cindy graduated from Central High School in 1957. She moved to Canton, Ohio to live with her older sister Liz in 1957 for about six months. She then returned to Mobile, Alabama for a few months before attending Oakwood College (now University) in Huntsville, Alabama. Cindy attended Oakwood College (now University) in 1958-1959. Cindy’s roommate at Oakwood was her friend Charlotte from Mobile, Alabama. After leaving Oakwood, Cindy moved to New York and later roomed with Charlotte and Margie, another friend from Mobile, Alabama. Cindy and Margie moved to California in 1964 at the request of a wonderful lady they befriended named Mrs. Hopson. In San Diego, is where Cindy met her King, Fred, at Scripps Memorial Hospital in La Jolla, California, where they both worked. Cindy would go on to work at Scripps until her retirement on May 24, 2001. Cindy was well-loved by her co-workers, known for running a “tight ship” in the emergency room, and was affectionately called “Mom” by many. Cindy and Fred were married on September 2, 1966. The couple had one daughter, Felicia. Fred also has an older daughter Sable from his first marriage. Sable and Felicia share the same birthday and are ten years apart. Cindy was a devoted wife and mother. She spoiled her husband, daughter and brother with her excellent meals and desserts. Her sweet potatoes “yams” were a top hit, along with her dressing “stuffing”, baked beans, pecan patties, homemade rolls, 7-Up Pound Cake, strawberry cake, peach cobbler, sweet potato pie, and in the words of Fred, “Everything tasted good and my life would not be the same if I hadn’t met this beautiful woman.” She freely shared and cooked for others upon request. Cindy enjoyed family and was especially excited when the family began attending annual and bi-annual family reunions in 2001. Cindy was very loving, nurturing, and gladly became the godmother of both Trent Bennett and Kyle Smith. Cindy joined the 31st Street Seventh-Day Adventist Church in 1964. She has been part of various ministries throughout the years. Her most recent ministries included the accounting team, Sabbath School Secretary, Deaconess Team, and Community Service. She and Fred would faithfully be at 31st Street every Wednesday morning at 7:00 a.m. setting up tables, sorting food, and helping organize in preparation for food distribution to the community. Cindy loved her church and sacrificed freely her time, energy, and support until her death. Cindy loved to play games with family and friends. Her last game would be played on her 52nd Wedding Anniversary, September 2, 2018, at Vibra Hospital. Felicia helped Cindy beat Fred in a game of spades. Cindy could be found weekly enjoying classes, exercising, and having fun at the George Stevens Senior Community Center. Cindy also enjoyed traveling and took a special trip to France with her sister Ann in 2000. Cindy leaves behind her husband Fred of fifty-two years, daughter Felicia (Randy) & Sable (Donnie), sisters Ann and Elizabeth, brother Ricky, nieces Crystal (David), Pam (Jesse), Vikki (Rinson), Megan, Kaila, Chavoughn, nephews Bruce (Mary), Fred (Brenda), Vincent (Lisa), Max, Brandon, Maurice, grandchildren Jason (Naquitta), Monica, Dennis (Lakeesha), and Quinten (Alena), godsons Trent (Charmaine) Bennett & Kyle Smith, special “daughter” Myisha & “son” D’Anglo, and a host of great-grandchildren, great-nieces & great-nephews, cousins, and close friends.